With the advances in fiber optic technology and transmission systems, reliable cabling systems are becoming even more important. Active optical equipment, which is often worth hundreds of thousands of dollars, is all connected into the network via the humble fiber optic patch cord or patch lead. The risk of network downtime due to unreliable cabling is one that should be avoided. Therefore, these types of networks, along with many other Data Center and high speed Commercial networks require reliable cabling infrastructure in order to maximize performance and to ensure long term reliability. Today’s article will introduce Grade A optical fiber cables. What Are Grade A, Grade B, Grade C Fiber Optic Connector? 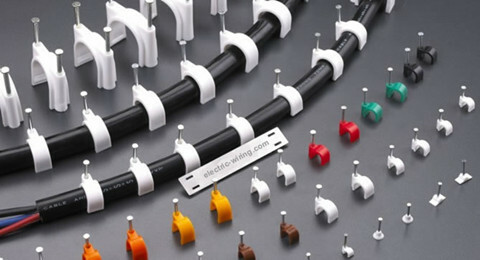 IEC standards dictate the connector performance requirement for each grade of fiber optic patch cord connector. These standards guide end users and manufacturers in ensuring compliance to best practices in optical fiber technology. According to IEC 61753 and IEC 61300-3-34 Attenuation Random Testing Method, Grade C connectors have the following performance characteristics. Attenuation: 0.25dB-0.50dB, for >97% of samples. Attenuation: 0.12dB-0.25dB, for >97% of samples. Grade A connector performance (which is still yet to be officially ratified by IEC) has the following performance characteristics. Average Insertion loss of 0.07dB (randomly mated IEC Standard 61300-3-34)and a Maximum Insertion Loss of 0.15db max, for >97% of samples. While the return loss using IEC 61300-3-6 Random Mated Method is >55dB (unmated–only angled connectors) and >60dB (mated), this performance level is generally available for LC, A/SC, SC and E2000 interfaces. How are Grade A Connectors on Optical Fiber Patch Cords Identified? Grade A fiber optic patch cords are identified with the letter ‘A’ printed on the connector side. The symbol is actually the letter ‘A’ enclosed within a triangle (“A”). This identification marker is proof that you are using a high quality fiber optic patch cord. Grade A connectivity is also available for Optical fiber through adapters. The same rule applies for A grade fiber optic Adapters which also have the letter “A” clearly marked. What Does a Fiber Optic Patch Cord Meet the Grade A Criteria? Firstly a high quality Grade A fiber optic patch cord begins with using high quality zirconia ferrules and high quality optical fiber cable. However, the manufacturing and testing process must be first class. In order to meet the stringent performance criteria of ‘A’ Grade connectors on patch cords, high quality manufacturing, inspection, testing and Quality Assurance (QA) procedures are required. Without the proper expertise in optical fiber technology, many other manufacturers are unable to meet these requirements. To consistently achieve ‘A’ Grade performance, high accuracy testing using state of the art test equipment as well as constantly assessing testing methods are all required. Analysing and ensuring mechanical end face limits and that parameters are within range, ensures that Grade A connectivity is achieved. Grade A connectors offer virtually the same IL performance as a fusion splice, with the added benefit of providing a physical contact which can be connected, disconnected and moved when required. It is important to fully understand the benefits of using reliable, good quality optic fiber patch cords and connectivity. Good quality connectors with low Insertion Loss will meet large bandwidth and high speed requirements of the latest active optical equipment allowing large streams of data to be transmitted reliably over long distances. 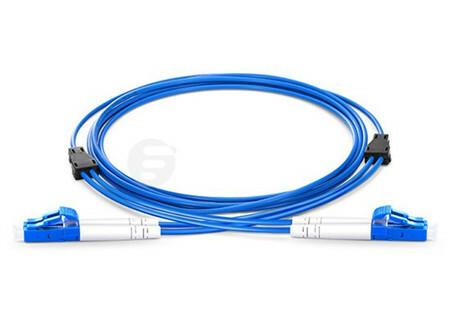 Grade A connectors on optical fiber patch cords are an example of the advances in this technology. Nowadays more and more fiber-based networks have been built in the backbone and risers environment. Both multimode and single-mode fibers are available for the applications. But different fiber types have briefly different limitations for speed and maximum distance. These characteristics they possess and the way cause the fiber to operate determine the application to which a given fiber is most appropriate. Today’s article will offer you some information about the classification of fiber optic cables and the difference in speed and distances. Multimode fibers, according to the specification and briefly by their bandwidth performance are commonly classified into OM1, OM2, OM3 and OM4. Each multimode type has different transmission data rates, link length and bandwidth for specific protocols, applications and transceiver types. Table 1 outlines the international standards organization classification for multimode fiber which describe the strength for speed and distance. From the above table, we can see that OM1 is the 62.5-micron fiber, while OM2/OM3/OM4 are the 50-micron multimode fibers. OM1 multimode fiber was used to be the most common multimode fibers in the 80’s and 90’s. However, it is generated accepted that OM1 will soon be obsolete for the lowest data carrying capacity and shortest distance limitations as compared with other multimode fibers. As for the 50-micron multimode fibers, they are the most commonly used fiber types today, especially the OM3 and OM4 cables. Why do the multimode fibers with a smaller diameter have better performance than the large one? Please read on. In terms of the performance in 50-micron and 62.5-micron multimode fibers, the difference lies in the fibers’ bandwidth, or the signal-carrying capacity. Bandwidth is actually specified as a bandwidth-distance product with units of MHz-km that depends on the data rate. As the data rate goes up (MHz), the distance that rate can be transmitted (km) goes down. Thus, a higher fiber bandwidth can enable you to transmit at higher data rates or for longer distances. 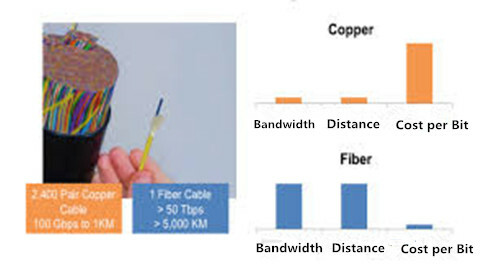 For example, 50-micron multimode fiber offers nearly three times more bandwidth (500 MHz-km) than FDDI-grade 62.5-micron fiber (160 MHz-km) at 850 nm. While fiber bandwidth is a critical factor in determining link length and data rate, transmitter and receiver characteristics also matters. For 850-nm Gigabit Ethernet, these bandwidth values support link lengths of 220 meters over 62.5-micron fiber and 550 meters over 50-micron fiber. For example, Cisco GLC-SX-MM operating at 850-nm can support a link distance of 550 m over 50-micron fiber (OM2). Today, the 850-nm operating window is increasingly important, as low-cost 850-nm lasers such as verti cal-cavity surface-emitting lasers (VCSELs) are becoming widely available for network applications. VCSELs offer users the ability to extend data rates at a lower cost than long-wavelength lasers. Since 50-micron multimode fiber has higher bandwidth in the 850-nm window, it can support longer distances using these lower-cost VCSELs. Thus, 50-micron multimode fiber is more suitable for fiber backbones running Gigabit Ethernet and higher-speed protocols over longer distances. Single-mode fiber, owing to the more expensive electronics required in the network, is usually used for much greater-reach applications but not a cost-effective investment for future application in building. As the multimode fibers can be divided into OM1, OM2, OM3 and OM4 fiber types, single-mode fibers usually come in OS1 and OS2 fibers. For the detailed information, please look at the article “The Truth About OS1 and OS2 Optical Fiber”. Jacket color is sometimes a simple method to distinguish multimode cables from single-mode ones. 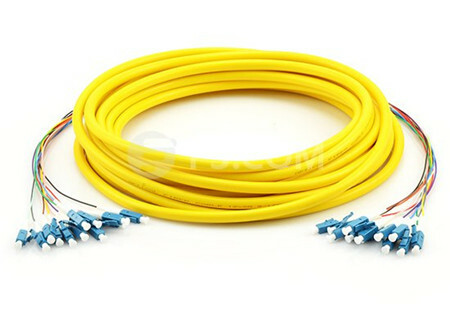 The standard TIA-598C recommends, for non-military applications, the use of a yellow jacket for single-mode fiber, and orange or aqua for multimode fiber, depending on type as you can seen in the Figure 2. Besides the jacket color, the difference between multimode and single-mode optical fiber (9-mircon core) is that the former has much larger core diameter; much larger than the wavelength of the light carried in it. Because of the large core and the possibility of large numerical aperture, multimode fiber has higher “light-gathering” capacity than single-mode fiber. In practical terms, the larger core size simplifies connections and also allows the use of lower-cost electronics such as light-emitting diodes (LEDs) and vertical-cavity surface-emitting lasers (VCSELs) which operate at the 850 nm and 1300 nm wavelength (single-mode fibers used in telecommunications typically operate at 1310 or 1550 nm). However, compared to single-mode fibers, the bandwidth & distance product limit of multimode fiber is lower. Because multimode fiber has a larger core-size than single-mode fiber, it supports more than one propagation mode; hence it is limited by modal dispersion, while single mode is not. The light sources used in these two cable types also plays a critical role in the performances. The LED light source sometimes used with multimode fiber produce a range of wavelengths and these each propagate at different speeds. This chromatic dispersion is another limit to the useful length for multimode fiber optic cable. In contrast, the lasers used to drive single-mode fibers produce coherent light of a single wavelength. Due to the modal dispersion, multimode fiber has higher pulse spreading rates than single mode fiber, limiting multimode fiber’s information transmission capacity. Thus, single-mode fibers are often used in high-precision scientific research because restricting the light to only one propagation mode allows it to be focused to an intense, diffraction-limited spot. The growth in subscribers’ demand for more sophisticated electronics and web-connected services increases the requirement for information storage and cloud technology. End-users also want to know how to choose the right cable type for your network application. Therefore , I hope after reading this article you might have learned something from it. Why Recommend Fiber Over Copper in 2017? 2017 is coming in less than a month, looking back, in the communication field, the old remaining dilemma between fiber and copper is still left behind. People are struggling about whether they should hold on to the tried-and-tested copper cables that are sufficient so far, or make the leap into the future, and go fiber optic. From a technical perspective, the case for switching to fiber is growing ever stronger. Using a fiber system will lead to more bandwidth, reliability, less down time and end up saving you money. Today’s article will make you understand the trend for switching to fiber. People are aware that fiber optics is winning out over copper because of its higher performance, namely more bandwidth, faster speed and longer link distance. Bandwidth decides how much data you can receive and send. 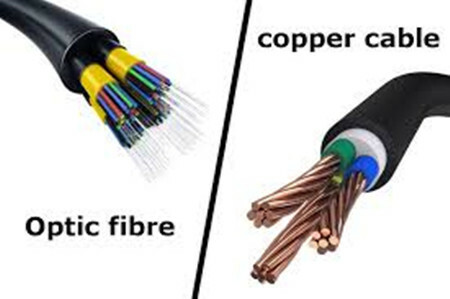 Copper cable that can be used for 10 Gigabit cabling, and 100 Gigabit cables is at the point of topping out, but these data rates can be sent only for very short distances between servers in data centers. While with fiber you can transmit more data over greater distances, and if you’re preparing for fiber now, you’ll also start to see remarkable differences in the not too distant future. Have you ever though of the reason why fiber can transmit at higher speed for longer distances then copper cables? In short, copper cable uses the electric waves to carry the signal data, the phrase of the wave are modulated in sophisticated patterns to try and send as much data as possible through the continuous signal. This works well for low amount of data, but the copper cable will start to break down if you get to higher bandwidths and greater distances. As for fiber cable, it uses light to carry signals with transmitters and receivers at both ends. Light loses much less power than an electrical signal, so fiber can send data over much greater distances. Besides the above reasons, another big reason that makes enterprises choose to use fiber other than copper is the reliability of the fiber optic system. If you put too many copper wires in close proximity, or just put them near any significant power sources, the signals can be easily interfered and read by others. Brazilian E-Voting machines were compromised using Van Eck Phreaking, with hackers able to read secret votes through these side-band electronic-magnetic emissions from the machines. But fiber doesn’t suffer from the same problems as copper, so maintenance issues are rare. You can put multiple fiber optics next to each other and there won’t be any interference, and you can route them wherever in your building and they’ll still work perfectly. In fact, fiber can be routed through a building near power line conduits without any degradation of the signal. Therefore, it is not the good choice to still stay at copper wire because of its crosstalk where data from one wire gets mixed up with data on another. There are also safety issues, for people and equipment, with copper cabling which are no doubt at the forefront of your tech’s mind when they are telling you to go for a fiber installation. Any misconfiguration of your system, or out of the blue power surge, and having everything wired together with copper suddenly becomes a serious problem. For example, a lightening strike jumped through copper cabling between buildings, can destroy all the electrical equipment in both buildings. Light doesn’t leak, and if it does you’ll know about it. Someone splicing into the fiber will leave a tell-tale signal as the attenuation will drop, just as when fiber is damaged. Using a testing technique called optical-time domain reflectometry, you can easily find where someone has spliced into the system and hunt the spies down! In general, it’s also easier to test if something does goes wrong. The way light travels through glass is better understood than how electricity flows through copper, so any diagnostics are straightforward. Fiber optic cable is composed of a thin, flimsy strand of glass, which is very delicate, needing installation by specialists in white gloves. And it can be destroyed by any clumsy-fingered techie thereafter. However, it is stronger than copper cables (made of a thick cord of metal). Even though the fiber optic cable is lightweight and thin, it can be pulled through buildings with more force than copper, and can take a dunking in water, and is more flexible so can negotiate tricky building geography. All the while being lighter and thinner than copper, so it can be installed with more ease anywhere in your building. Because it’s so lightweight and thin, it takes up less space, and is easier to handle. If you want to scale a copper wired system then you need more and more of bigger and bigger cabling. With an optical system, there is almost no difference in size between the diameter and weight of different size fibers, and because a smaller fiber can carry so much more data than copper cables, you need less overall. When people suggest you switching to fiber, you might not think that they take budget into account, but in the long run, fiber optic system will cost your company less. Because fiber is more resilient, there is less downtime on the network. Because of all the maintenance and legacy issues with copper wires, you’ll always have downtime while an ISP technician is down a manhole somewhere splicing together copper cables that have been damaged. There’s also less hardware to go with the fiber optic system. Because data can be transmitted over fiber for longer distances, you don’t need the extra power boosters, junctions, and terminals that are needed for copper cabling. Your fiber can be brought directly to your office with no need for multiple connections. Fiber is new technology that is constantly evolving and a hot area of research. We believe that in 2017, fiber optic based system will be more popular among users.